What a year 2014 was! Maria and I had the awesome opportunity to open a CrossFit box together and we have gotten to know and coach a great group of people every day... you guys rock! With 2014 behind us, it's time to look ahead to 2015...and we have lots of cool stuff on the way! With that, from this week we are introducing our "Fitness' and "Skill" level workouts (see today's WOD for an example). 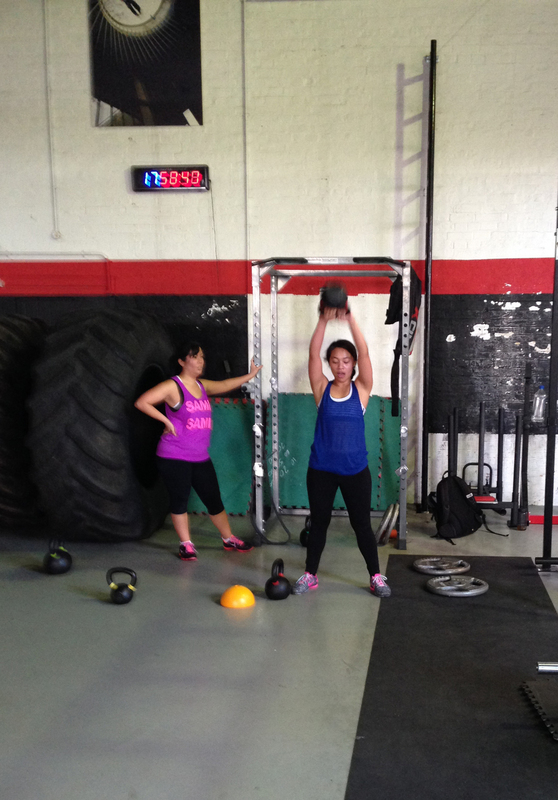 Fitness Focus workouts are designed for all members with less 6 months experience training at CrossFit 1864, as well as intermediate athletes who find the Fitness Focus workouts to be better in line with their needs and goals. The goal of these workouts is to get you fitter and healthier; think stronger, faster, better co-ordination, leaner, and all round awesomeness. Skill Focus workouts are designed for those who have developed a solid foundation of the functional movements over time and are now interested in pushing the boundaries of their performance and capacity within CrossFit and taking on more complex movements in workouts. With that being said, we won't always provide both a Fitness and a Skills Focus option. Depending on the workout, often some simple scaling can be applied and work easily for all levels (for example, we can decrease weight or suggest ring rows instead of pull ups). Other times, it might be more appropriate to designate the levels, especially if we want to simplify the scaling options or include a very complex gymnastics or barbell movement. We would like to welcome Andreea, Emma, Fay, Jamie, Julia, Luke, Sanju, Scott, Coach Maria, Momma Coach M (and of course, me!) to Team CrossFit 1864 and the Whole Life Challenge! If you have not yet signed up you are on the verge of missing out on a great experience! While everyone wants to look and feel better, it can be a challenge to know how or where to start. This is much more than a boring old nutrition challenge, it's a lifestyle challenge and it puts various parts of your life under the microscope. The Whole Life Challenge helps you focus on the key areas of your life where small changes can produce real, life-long improvements. Sign up here now or speak to me or Maria if you have any questions about the challenge. Do you have any friends, family or co-workers that have asked what you do to stay in shape? Or do you know anyone that you think would enjoy CrossFit?? Well, bring them down to train with you! Starting in 2015, we will be holding a Guest Day once a month. On these days, you can bring a friend or family member down to the gym for free and hit a workout with them. This is a chance to show folks what it is you have been doing at the gym that is getting you in such good shape. Our first Guest Day will be Sunday 1 February (both the 10 and 11 am classes).